Imaging is the center of the healthcare universe in more ways than we know. Ever since Wilhelm Conrad Röentgen produced and detected electromagnetic radiation in a wavelength range known as X-rays almost 120 years ago, radiology has become fundamental to diagnostics and integral to the science of medicine. Many new techniques have been introduced in the last few decades and digital technology has transformed clinical practice beyond recognition. The birth of the Digital Imaging and Communication in Medicine (DICOM) standard in 1983 helped to generate a digital tsunami of innovations in imaging. Today, the mantra of “any image, anywhere, anytime” no longer raises an eyebrow—it’s expected. Indeed, imaging has grown not just from a departmental solution to an enterprise asset, but to setting the stage for new paradigms of patient-centered care across vast areas of medicine. As specialties such as cardiology, pathology, dermatology, otolaryngology and others also embrace everything digital, there is a growing need—an imperative—to manage and grow these digital assets in a much more coordinated manner across the enterprise. Indeed, this very imperative is also an opportunity to garner efficiencies in handling silos of disparate imaging systems, and to enable workflows that are truly patient-centric, and not application-centric. For far too long, we radiologists have spent our days in dark reading rooms, “treating” one series of images at a time instead of treating the patient as a whole. We have embraced the digital norm with Picture Archiving and Communication Systems (PACS), but have also hung on to our tired old ways of interpreting these studies with very little context around the patient, let alone access to their full longitudinal medical record. Embracing the enterprise is about achieving interoperability across all systems that hold pieces of the patients’ data, and enabling a true patient-centric approach to care. An interesting observation in imaging is that as systems mature and ecosystems of various applications start to flourish, we see needs emerging around scalability, optimization and patient-centric care paradigms. At the end of the day, this truly is about continuing to evolve, mature and enable the most streamlined and patient-centric workflows across the enterprise. As we contemplate the growing needs for image storage and archiving capabilities across the enterprise, it seems only natural to seek a more cohesive approach to data storage and information lifecycle management. The growth of the vendor neutral archive (VNA) market is proportional to the growth of imaging needs across multiple departments in the enterprise. As opposed to managing multiple “buckets” of storage needs across silos, an enterprise-wide “single bucket strategy” brings many benefits. This approach promises to provide a new-found freedom to provider organizations with regard to content storage decisions and cost-effectiveness around image archiving. Furthermore, organizations will not have to be held hostage to application vendors who may have proprietary, application-centric or costlier ways to handle content management. A consolidated and controlled VNA streamlines enterprise access to images and related content, enabling efficient retrieval of content from anywhere, across any application or system. Not all VNA solutions are created equal, however, and as each of these categories continues to evolve, the story keeps on getting better for all of us. Enterprise content management (ECM) firms bridging with VNAs seem to be the next logical evolution,2 and this makes for perfect sense in terms of a broader strategy to manage all content across the healthcare enterprise. Across the board, there is a push for greater degrees of maturity around content management in healthcare, and I predict continued innovation in this area. The economics of enterprise imaging make better sense than any financial logic tied to siloed departmental imaging solutions. A unified and streamlined management of images and related content in a VNA promises to reduce costs by eliminating or mitigating data migrations and limiting the number of interfaces required to image enable institutional information systems; eg, the electronic health record (EHR).3 Centrally managed storage solutions have also been shown to lead to reduced total cost of ownership in a relatively short time, and multi-phased progressive VNA deployments have been shown to bear good returns. This is especially true when looking at needs not just across one specialty, such as radiology, but across multiple specialties throughout the enterprise. The new reality is what can be called the “we-conomy”—where it makes more economic sense to contemplate managing larger entities across the enterprise vs departmental solutions in a one-off manner. The accountable care organization (ACO) is another example of the emergence of the “we-conomy.” This initiative has the potential to remake the way healthcare is delivered, incentivizing physicians and healthcare providers of all types – hospitals, clinics, long-term-care facilities and others – to work together to improve health outcomes and generate shared savings. Increasingly, some integrated delivery health systems and large multispecialty groups already consider themselves to be ACOs or have adopted many facets of accountable care. While some of these newer models of care rehash older hospital and physician managed care partnerships of the 1990’s, the goal of reducing costs through better coordination of care is a noble one, and is certainly worth another try. At the heart of the ACO model is a shared savings program, which reimburses the participating physicians and providers for the quality, efficiency and appropriateness of care they deliver.4 Embracing the enterprise may indeed not just be the right thing to do, but it may also be the thing that will bring in the dollars. Let’s take radiation dose management as an example. What may at a quick glance seem very much like a departmental issue actually turns out to be an enterprise issue of massive proportion. Patient-centric comprehensive radiation dose management is about collaborative care, care coordination, interoperability, quality, safety and much more. Optimal radiation dose management is not just increasingly being mandated by legislature, it’s a core issue for payers, an increasing concern for patients, and of high significance to ordering physicians who utilize radiology services. Arguably, the impact of optimizing radiation dose becomes greatest when radiologists work together with technologists, physicists and ordering physicians under a collaborative approach toward patient-centric care. It is imperative now for radiologists to become more than “mere” diagnosticians – they need to be true physician consultants, pushing for advocacy within their hospitals and across the industry. Moving dose data upstream, to the point of order entry, is a crucial step. Appropriateness criteria become most effective when integrated with the EMR and CPOE system. The appropriateness criteria need to incorporate dose information, such as cumulative effective radiation dose data, and be optimized to localized protocols guided by evidence based guidelines, clinical best practices and contextualized patient specific data. An enterprise approach to leveraging data intelligently is not just about better workflows, but about embracing newer care models that actually work. Every key item in healthcare has a “people, process and technology” component to it. It’s interesting that embracing the enterprise is not just about the technology, it is also about the people and the processes we are so used to working with. Realizing value across the enterprise, and enabling newer models of care that may initially make less sense at a more local or departmental level often requires a degree of looking within. It calls for a change to the traditional organizational mindset. This newer way of thinking, behaving and doing can generally be fostered in one of two ways. You can force behavioral change through some form of management decree or you can change the mindsets of people so that their thinking results in new desired behaviors. Without a doubt, the latter is more effective at sustaining change over the long term, but it takes more effort and planning. Leading by example helps.6 It will go a long way toward showing economic benefits of embracing enterprise methodologies around initiatives such as enterprise storage, unified image viewing, collaborative care and shared savings resulting from coordinated care models. It may be more effective, however, to show more meaningful personal benefits in terms of improved workflow, saved time, and increased satisfaction and outcomes as a result of embracing these new care models. Evangelizing the message from the top down and bottom up also goes a long way. The benefits of enterprise imaging may be best attained by leveraging a strong visionary CIO who enforces these changes, and a determined army of clinical and operational champions on the ground who embrace the benefits and become positive role models of change. 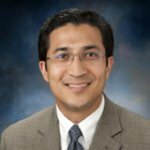 Shrestha, R. The myths and realities of true enterprise imaging. Applied Radiology. 2012; 41(11):26-29. Newswire, PR. Lexmark acquires Acuo Technologies. PR Newswire. [Online] January 2, 2013. [Cited: January 6, 2013.] http://www.prnewswire.com/news-releases/lexmark-acquires-acuo-technologies-185461462.html. Shrestha, R. Enterprise vendor neutral archive: Guide to riding the bandwagon. Applied Radiology. 2013;42(2):13-16. Shrestha, R. Accountable care and value based imaging: Challenges and opportunities. Applied Radiology. 2013;42(4):19-22. Radiation Dose Monitoring Solutions 2014. Provo, UT : KLAS Research, 2014. Delivery, Project Value. How Changing Mindset is the Prerequisite of Any Organizational Change. s.l. : www.ProjectValueDelivery.com, 2012. Enterprise Imaging: Embracing the enterprise. Appl Radiol.